The spate of recent auto recalls in India will have both good and not-so-good consequences. In 1971, General Motors (GM) recalled Chevrolet Bel Air, Chevy II and some other models. The problem was with the engine mounts, the frame that holds the engine in place. About 6.7 million units were affected. It was probably the first time a large number of cars were taken back to fix the problem. In 2010, Toyota recalled millions of Camry, Corolla, Prius and various Lexus models, because of unintended acceleration. American financial daily, Wall Street Journal reported that the recall would cost Toyota some $5 billion due to the increased thrust on marketing to safeguard the brand image and litigation costs. Recalls have been a standard operating procedure in the West, but are a relatively recent phenomena in India. In May, Honda Cars India Ltd (HCIL) recalled 31,226 units of its best-selling compact sedan Amaze and Brio hatchback to inspect them for a possible defect in the brake system. This was the latest in a string of recalls over the last year. In July 2013, in one of the biggest vehicle recalls in the country, GM recalled 114,000 units of its multi-utility vehicle Tavera for not meeting emission norms. Maruti Suzuki, Toyota, Ford and Tata Motors are among the other leading car companies that have recalled some of their leading brands in the recent past. Brand experts say that a recall makes carmakers more responsible. But it also, they say, puts a question mark over the credibility of the manufacturer. "In second-generation auto nations like India, this is a prevalent mindset, but in first-generation countries recalls are viewed positively," says brand consultant Harish Bijoor, of Harish Bijoor Consults. It can then be a reason to worry for India's largest car-maker Maruti Suzuki which has a 42 per cent market share. In April, it recalled 103,311 Ertiga, Swift and Dzire vehicles because of problems with the fuel lid. "Let's not make it an image issue," says a Maruti spokesperson. "It's a maturity issue and Indian automakers are taking this responsible action in favour of the customers." The decision by HCIL to recall Amaze also comes at an inopportune time with passenger car sales in India sliding. But the company doesn't think its credibility will take a hit. "Such announcements do not affect the brand if we do these part replacements proactively. In fact, our past experience shows that our brand has further strengthened in our customers' mind," says an HCIL spokesperson. Industry lobby Society of Indian Automobiles Manufacturers (SIAM), too, asserts that a recall is a proactive step, which will only help carmakers. "We didn't do recalls (in the past) because it will build bad brand image," says Vishnu Mathur, Director General of SIAM, pointing out that it is a standard practice internationally. "Recalls build a lot of confidence in a customer and strengthens the brand value. The customers believe that the company wants their well being," he adds. India, though, does not have a standard recall policy like the developed countries. Recently, SIAM came out with a "Voluntary Code on Vehicle Recall" for all registered passenger cars, two-wheelers and commercial vehicles. According to this code, a company will post the recall information on its website and all customers will be informed about it. If the company fails to do so, the policy states that the government may take all necessary steps. Both Maruti Suzuki and Honda Cars, the only two companies that responded to Business Today's questions through mails, stated that communication and transparency is the best way forward. "The inspection and replacement (of Amaze and Brio) would be carried out free of cost at HCIL dealerships across India, and the owners are being contacted individually in a phased manner to bring their cars to the dealership for the inspection," says the HCIL spokesperson. A vehicle owner can also go to the company website to check if his car is part of the inspection campaign. Maruti Suzuki connected with customers through mails, letters, phone calls and its official website, for the recall of its models. 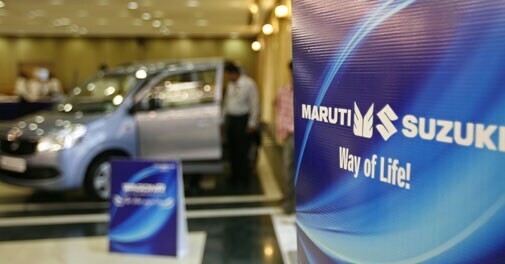 However, the Maruti spokesperson points out that the back- end should be ready to meet the huge number of recalls. "The idea is to strengthen the back-end first and then make a comprehensive announcement," he says. Analysts say that recalls are inevitable as the industry matures and more and more component makers get involved in building a vehicle. "A lot of innovation is happening like bringing down the cost, improving the design and technology along with fuel efficiency and a lot of that is done by component makers. Sometimes, the first badge of new components have some issue," says Abdul Majeed, Leader of Automotive Practice at consulting firm PwC India. But if the problems in a model persist even after a recall, then the brand equity of the carmaker will be hit, adds Majeed.